As Zoe struggles to control her abilities and stay hidden, she meets other glitchers including Max, who can disguise his appearance, and Adrien, who has visions of the future. 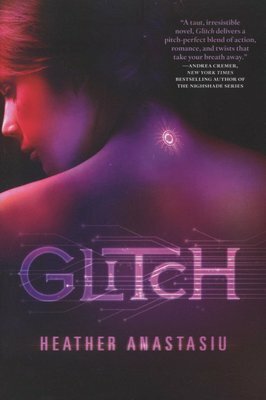 Together, this growing band of glitchers must find a way to free themselves from the controlling hands of the Community before they're caught and deactivated, or worse. 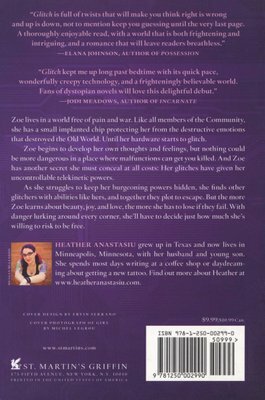 In Heather Anastasiu's action-packed debut, "Glitch "begins an exciting new young adult trilogy.